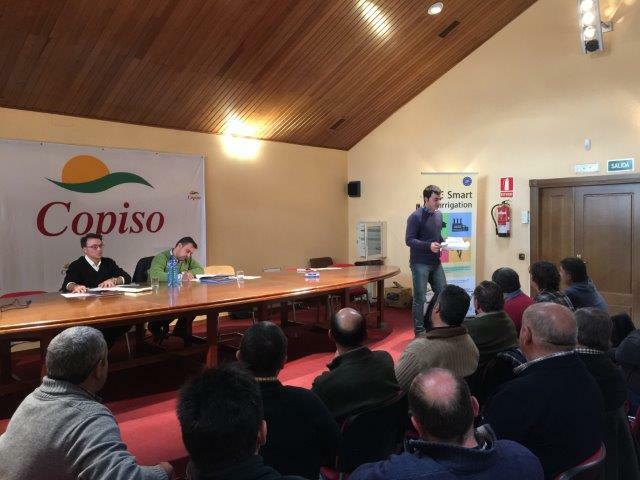 Last February 25th, the Asociación Soriana de Agricultura de Conservación-Suelos Vivos (ASOLAC, for its abbreviation in Spanish) held a brief talk on conservation techniques to improve agricultural land management. 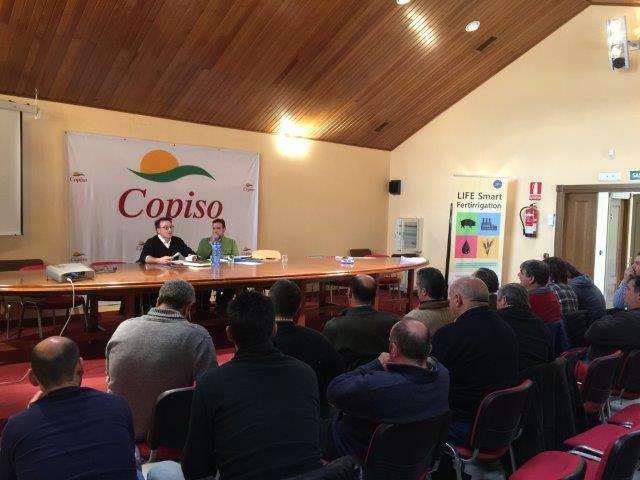 Firstly, both the topics of different direct sowing techniques and efficient use of nitrogen fertilizers, especially in localized application were discussed. The talk was delivered by Carlos Cantero (Doctor and Agronomic Engineer, Professor and researcher at the Universitat de Lleida). 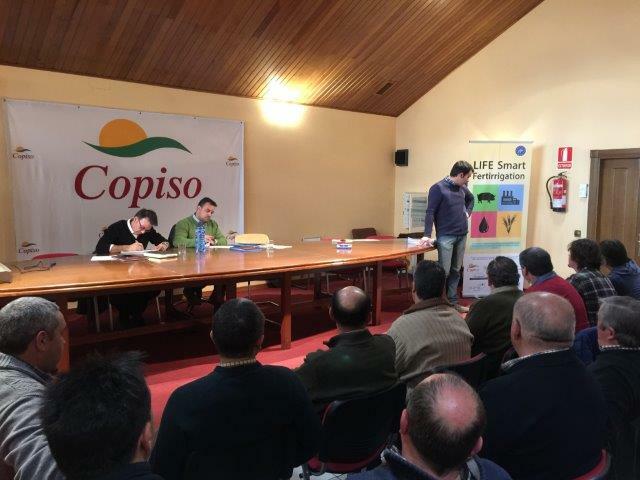 Secondly, the LIFE14/ENV/ES/640 Smart Fertirrigation project was presented to the participants, explaining how the liquid fraction of pig manure digestate will be properly treated as natural fertilizer in irrigation systems of a number of the plots of members of the Comunidad de Regantes de Almazán. 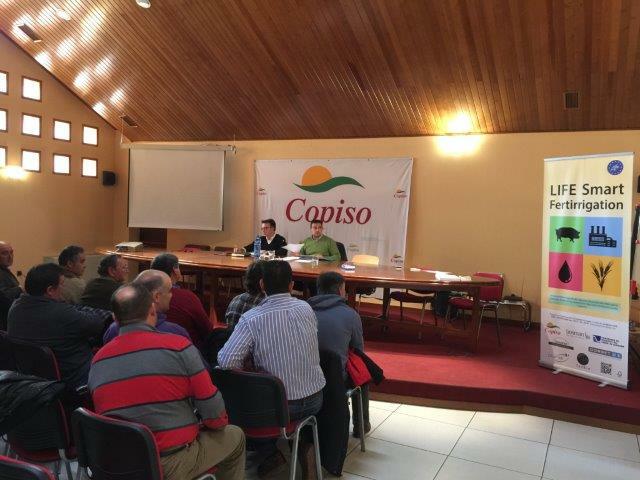 This part of the talk was given by José Antonio Gonzalo Egido (Agronomic Engineer of COPISO). During the event, many of the informative flyers of the project were distributed to help disseminate and raise awareness on the issue of sustainability in the use of circular-economy based resources.